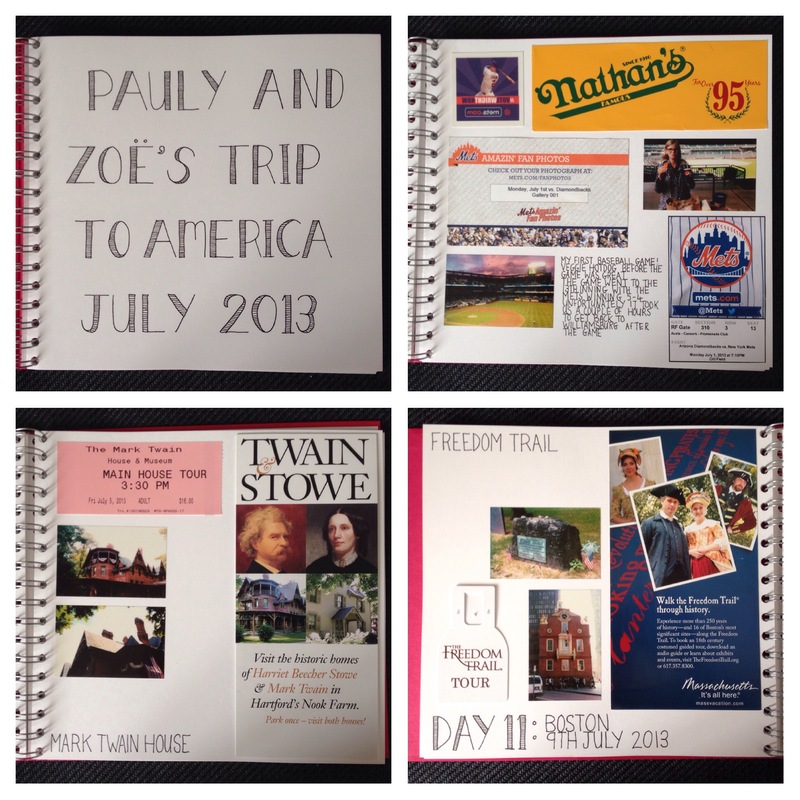 I have been making a scrapbook of our holiday from last year. 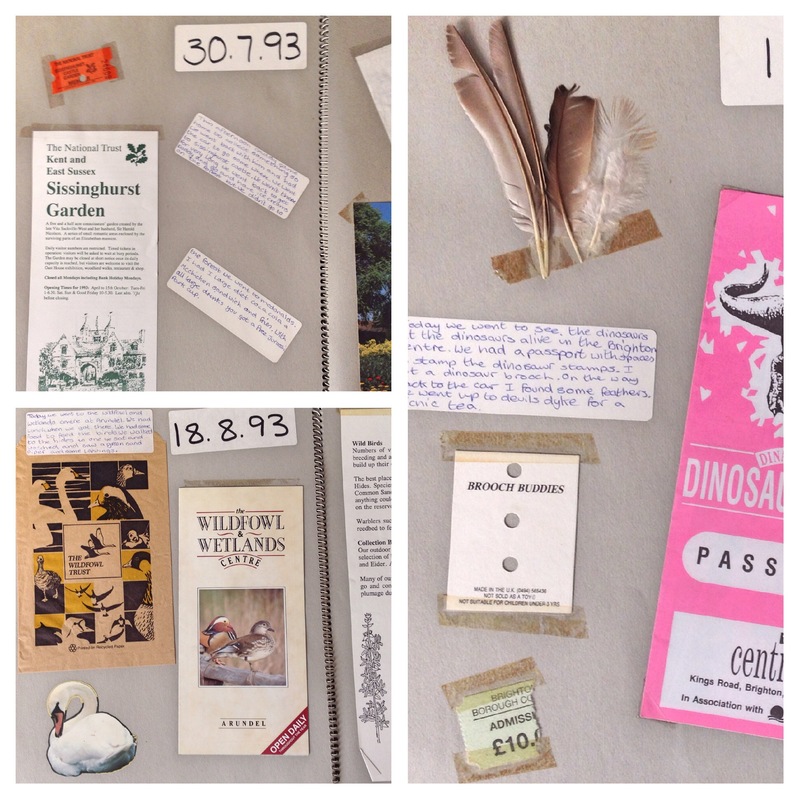 For me a scrapbook is about little things that I collect that remind me of holidays or exciting events. This is not the same as scrapbooking. It is mostly just sticking! I like to get a nice notebook or album, ideally spiral bound, and stick my treasures in along with the odd piece of writing. These pages are from my summer holiday scrapbook of 1993. I have been using a similar approach for my latest scrapbook, but adding some interesting lettering, something new I have been trying. I have been really enjoying making this scrapbook and look forward to my next one which will hopefully be a bit different.